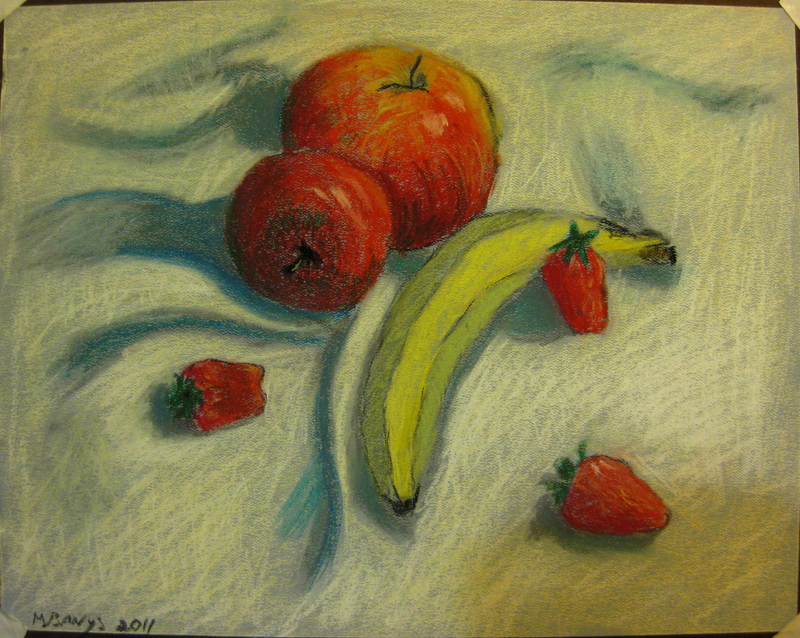 Still life of fruits in pastel. One photographic note: the lower right corner in the actual painting is much whiter than shown in the image below–it’s actually pretty uniform with the rest of the tabletop color. For whatever reason, the lighting in the room caused my camera to pick up a more more sandy-colored look in that region. This entry was posted in Paintings and tagged pastel, still life. Bookmark the permalink. Wow, I love how you captured the life in the fruit and actually I liked the variation of color in the corner (camera did good too)!